Luke Meadows join Kansas head coach Les Miles’ first coaching staff as the offensive coordinator in December of 2018. Meadows comes to Kansas with 21 years of collegiate coaching experience, including two seasons working hand-in-hand with KU offensive coordinator, Chip Lindsey. You might be right about Meadows, I just don’t know if he’ll leave a Power 5 job to be a Group of 5 position coach. Would love both Davern Williams and Shelton Felton but they both just signed with Akron, think they’d come back home? Yes I absolutely think you could see one or both of them on Chip’s staff, contingent on who the DC will be. Lesley has a relationship with both, and Chip has a connection to Felton through Rush Propst. Agree with you on OC but they need to send Jordan Lesley packing. He is the most disrespectfully players coach I have seen on the sideline in a while. 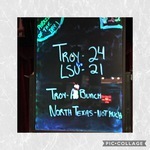 I like Brandon Hall as DC, he has the same energy level as Sumrall and he was Co-DC at Jax St. Of course, wouldn't mind hiring someone externally if possible (Sumrall). NOW THAT would be a GREAT HIRE! I know, I know there are many on this board that think Rush is scab and isnt worthy of a chance, but DUDE CAN COACH. This would be a GREAT opportunity to give a guy a second chance in the state of Alabama. He has faced his demons head on and has survived in Moultrie, Ga. Top 25 HS in the country and his offenses are incredible. If there was ever a time to get him here and give him a chance, this is it. 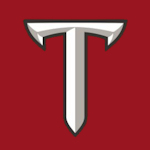 I would love for it to happen (I have forgiveness and forgetfulness in my heart) it would be a GREAT DAY for Troy University. I hope he has severe ties with Chip and gets a chance! Let him tell his story to the moms and dads that remember. Use the 'don't ask/don't tell' method when on the trail. Is the reason for the presser tomorrow to nail down the staff? Glad to have someone on the phones this morning for the signed and committed players and our current players as well. Luke Meadows (most likely as Assoc. HC & OC) and Shayne Wasden will be part of Lindsey's offensive staff. As long as Wasden doesn't coach special teams I'm good. Agreed, but I wouldn't hold my breath. Cornelius Williams is also practically a lock to stay on with WR's. You have to think Brian Blackmon has a good shot to stay on with TE's.